It turned out to be prophetic in many ways. Starting an agency is easy; all you need is a computer and an internet connection. But it takes a lot of work to run an agency and learn how to work with difficult clients. In 2007, he had 10 employees, had a ton of business debt, hadn't paid himself in 4 years, working too much and was ready to throw in the towel. He was forced to fire his full-time employees and hire them on a contract basis, and move into his home basement to figure out how to make his business profitable. Then, he almost lost his business in 2012 due to mismanaged accounts by an accounts manager. He was only making $10,000 a month in 2012-2013, all of which was used to pay contractors, nothing left to pay himself. After he started writing for Forbes, generating leads, and working with Corey Blake, who eventually became a partner, on business development and sales, the $10,000 became $120,000 a month in a period of 12 months! 2016, he made about 3 million a year and expects to double that in 2017! Josh could have closed the doors, started something else, or worked a normal job. But, he was stubborn, and wanted to make his business work. Josh compares his experience of business debt with the Spanish conquistador, Hernan Cortés, who destroyed his boats so he had no choice but to conquer the Aztec empire to survive. Josh was introduced to Forbes through Cheryl Conner, who runs a PR company and is a contributor writer for Forbes. Cheryl connected Josh with her editor and showed the editor Josh's blog, who offered him a chance to be a contributor for Forbes. The position doesn't pay, but it exposes his articles to a broader audience which has turned into fantastic leads for Josh's business! 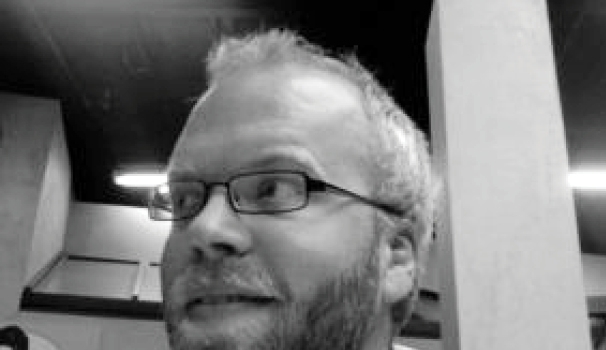 Josh wrote about entrepreneurship and startups rather than writing about digital marketing because he was afraid that he would be seen as selling himself. After a few months, he found other writers who wrote about digital marketing and had agencies, but didn't promote their businesses directly. They looked like experts without being salesy. Josh decided to start writing about the stuff that he also provides services for in his business, such as his first home-run article, “4 Tips for Hiring the Right SEO Firm” which brought in a lot of high quality leads. The readers had to track him down and find his website because there wasn't a direct link in the article. They were invested in finding him because they saw him as a thought leader. Josh also started writing for other publications as a contributor as well, such as Tech-Crunch, Mashable, and Entrepreneur, leveraging his articles on Forbes. Now, publications are seeking Josh out to write articles for them. He wrote about 200 articles in the past 3 years! All of these articles are written for free, but Josh gets exposure in exchange which has led to speaking opportunities at conferences around the world and a book deal! How can you get started as a thought leader? Step one, acknowledge that you have value to share. You need to be able to hold yourself up as an example because you are an expert at something and have something to share. Your story might be the story that resonates with people who haven't been able to connect with other thought leaders. You have value to share! Step 2, marketing. Marketing is easy. As Derek Halpern advises, just build an audience, then sell to them. Marketing is two things: content and channel. Content is the advice or how-to example. The channel is youtube, facebook, linkedin, radio, tv, etc. All you need to do is figure out which channel your audience is hanging out on and what type of content they prefer to consume. A lot of the content can come from answering questions from your audience. If you like writing, start writing. You have to have something to show the bigger publications before they are interested in you. So you have to write. 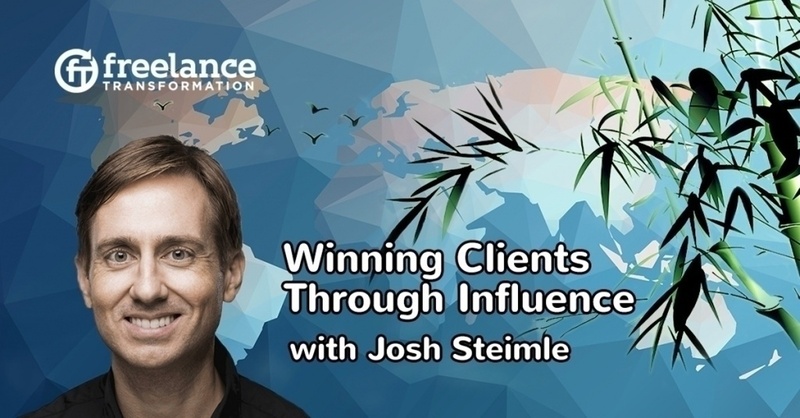 The biggest change that Josh made was being better at following up with leads more quickly. A whole week used to go by before responding to a lead with a proposal so the only clients he got were the patient, hands-off clients. Bringing on Cory Blake as a consultant, then full-time, then partner, meant fast responses to leads. Cory called back, not emailed, quickly, as in 5 minutes. 5 minutes vs 1 hour response made a huge difference in closing a client. The quick response showed the client that the agency was attentive to the client's needs. Josh decided to bring Corey on as a partner not just because Corey was helping his business grow substantially, but also because Corey provides healthy competition as a partner and makes Josh more accountable. Corey manages things in the US and Josh manages things in Asia (forgot to mention earlier, but Josh lives in China). Josh started in Utah and now runs his business from China. In China, Josh only has 1 competitor in a city of 20 million people in digital marketing, even though the demand is huge! The opportunities in China are amazing, and Josh takes advantage of that! Josh's goal is to grow his agency to have 1,000 employees and 20 offices in major cities around the world, and he is on track to get there. Culture and quality comes first, with the challenge to scale up and make it into something big.